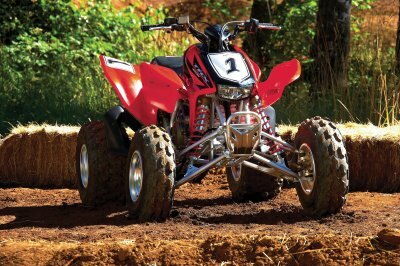 Honda TRX450R Wins Our 2006 Sport Quad ATV Of The Year Award! You don't have to look back very far to track the success of the TRX450R. But you'd better be ready to compile a long, long list of accolades. 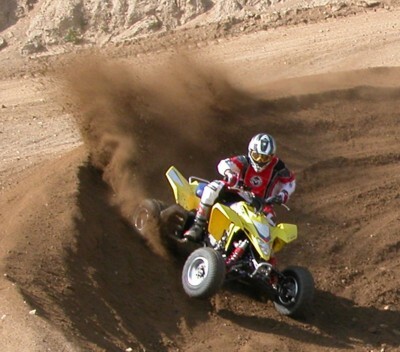 Since its introduction in 2004, this amazingly versatile machine has won races in just about every venue imaginable, from long-haul desert races to pounding motocross contests - indoors and outdoors - to rocky, sandy and wooded GNCC events from coast to coast. 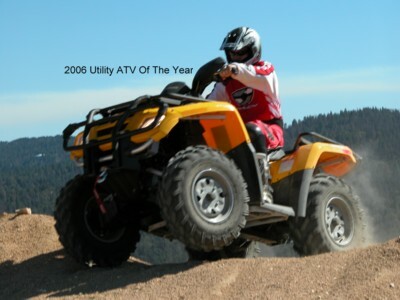 Outlander 800 H.O XT Wins Our 2006 Utility ATV Of The Year Award! The Bombardier BRP Outlander 800 H.O EFI XT wins “2006 Utility ATV Of The Year” honors. After riding this beast we have come to the conclusion that there needs to be another class titled “All Around ATV”, since this BRP Outlander does just about everything except race motocross.